The Tarot card for tody, Saturday, and Sunday is the Ten of Swords. It is time to take a hard look at your situation and face the reality of what is not working for you anymore. Something in your life is coming to an end. This may come with some sadness but not all endings are sad. What about shedding old habits, old belief systems, negative ways of thinking about yourself or others? 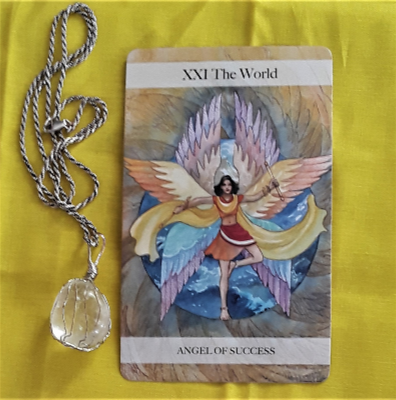 If you are working on your spiritual growth, you may find that you are getting rid of such baggage, especially as we approach the new moon on the 15th of this month. This is a good thing, so try not to be afraid. When it is all said and done, endings make way for bright new beginnings. 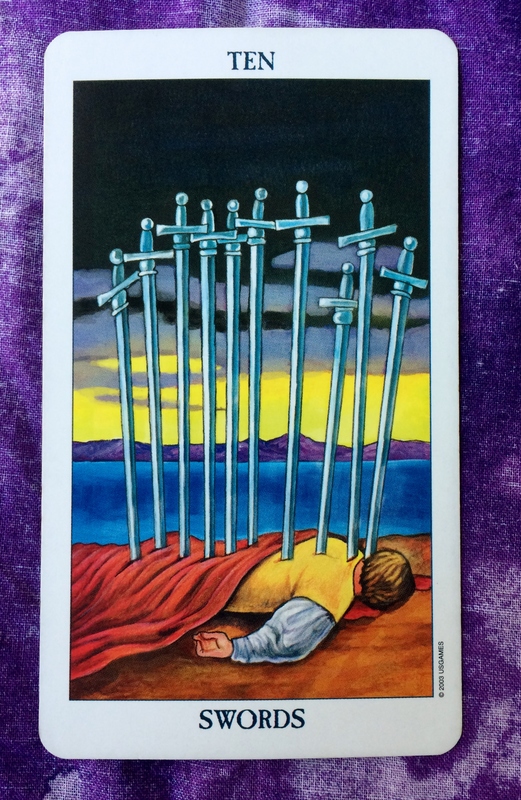 The card for the day is the Ten of Swords. Today’s energy is telling you to stop. To use an informal phrase, “Cut it out.” The idea you had about a situation or a belief is not what it you thought it was, so let it go. Whatever has caused you a lot of mental stress and worry lately is not worth it. You don’t need the pain any more. So “cut your losses” and move on to the bright day that is dawning. You might have had a blow to your ego. However, this hurt may not be as bad as you have made it out to be: Your nagging thoughts are blowing the situation way out of proportion. The solution is to stop making the hurt worst by continuing to dig into the pain. Let it go, let it go, let it go. With some distance, you will soon have peace of mind and clarity. Maybe you feel betrayed — “stabbed in the back,” so to speak. But remember, you may be down, but not out. It may feel like you’re bleeding heavily but it’s only a flesh would. It hurts — but you can shake it off and begin again. It may not seem like it now, but you will soon forget about the pain.